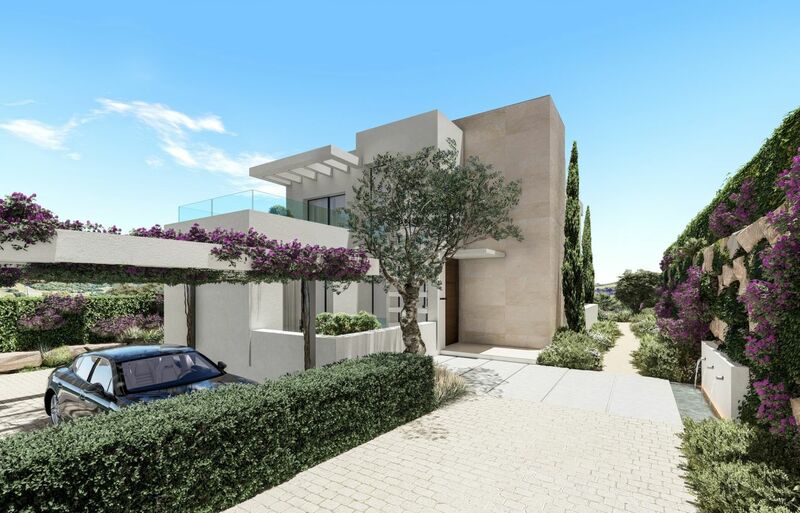 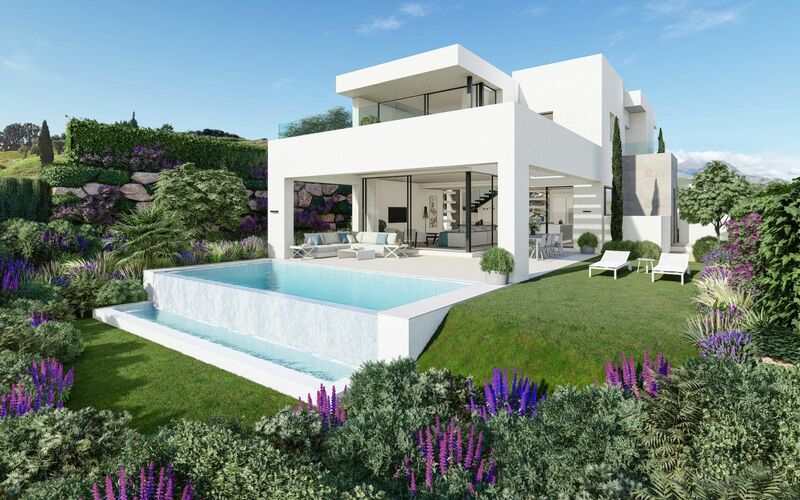 New villa project in Estepona, Costa del Sol. 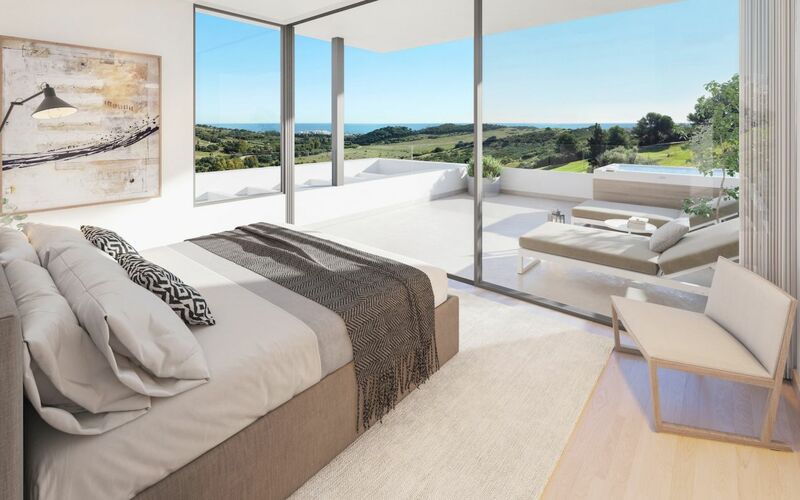 10 modern villas whose architecture blends in perfectly with the natural setting between mountains and the sea. 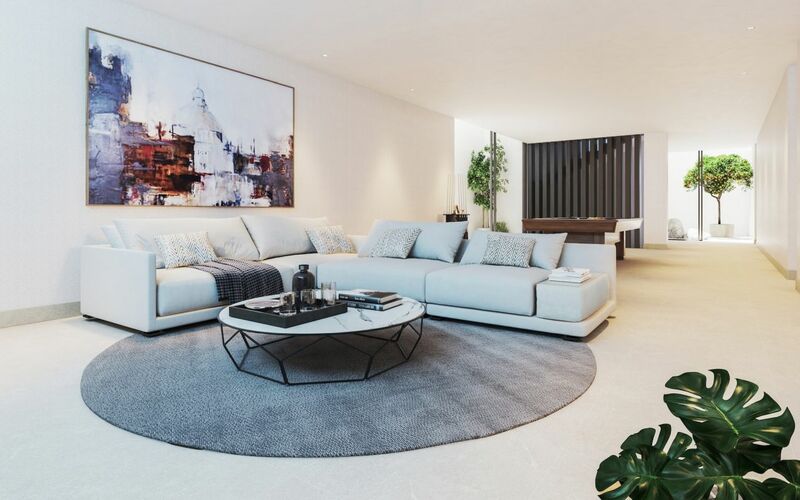 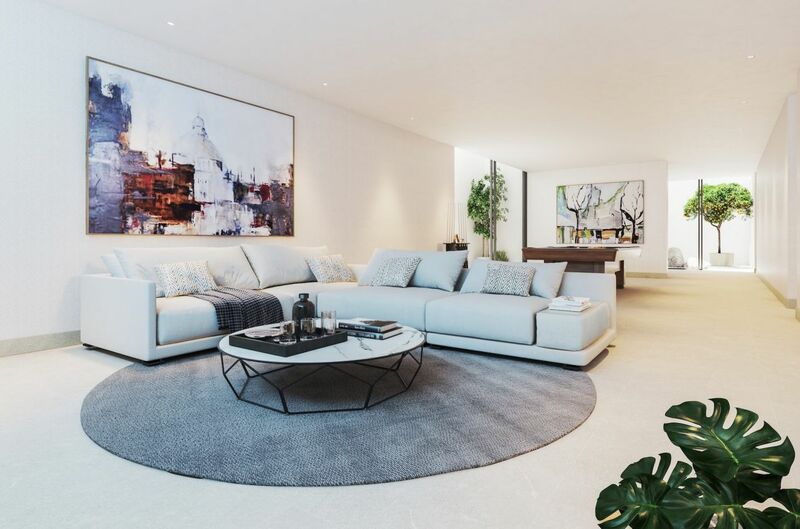 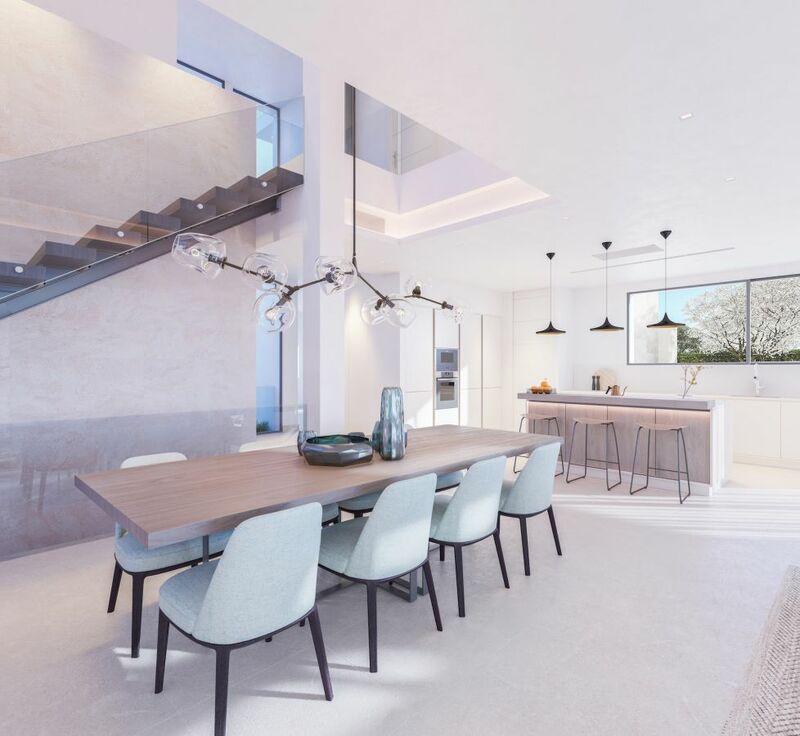 All homes have the latest technology to offer optimal heat and humidity insulation, a/c, underfloor heating, air ventilation, home intelligent system, LED lighting and security. 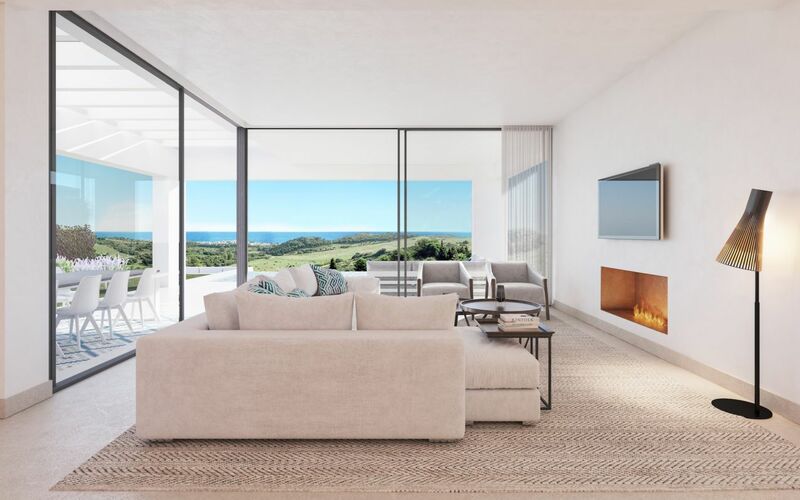 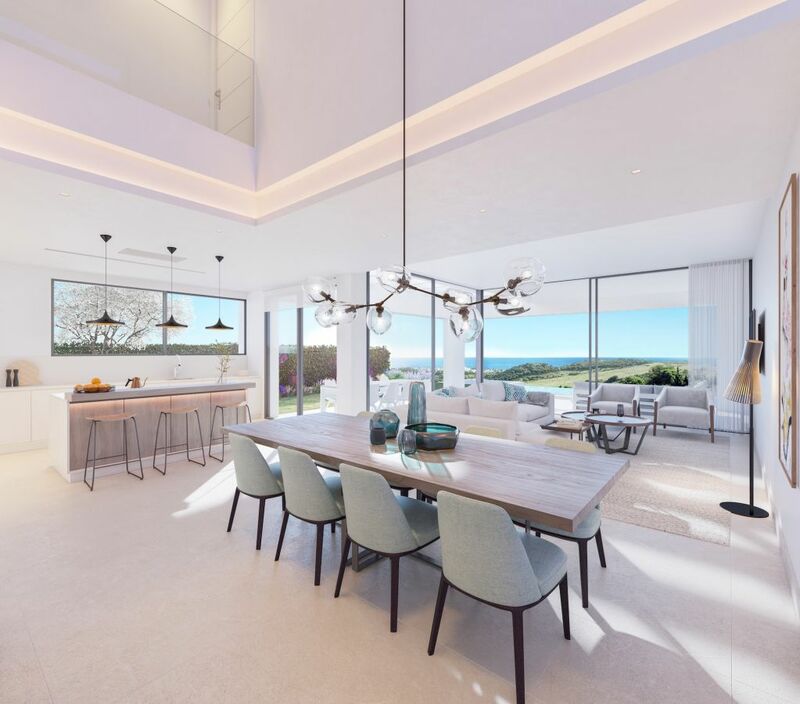 A beautiful design with double-height ceilings and full-length windows to create bright living areas with views of the surrounding nature. 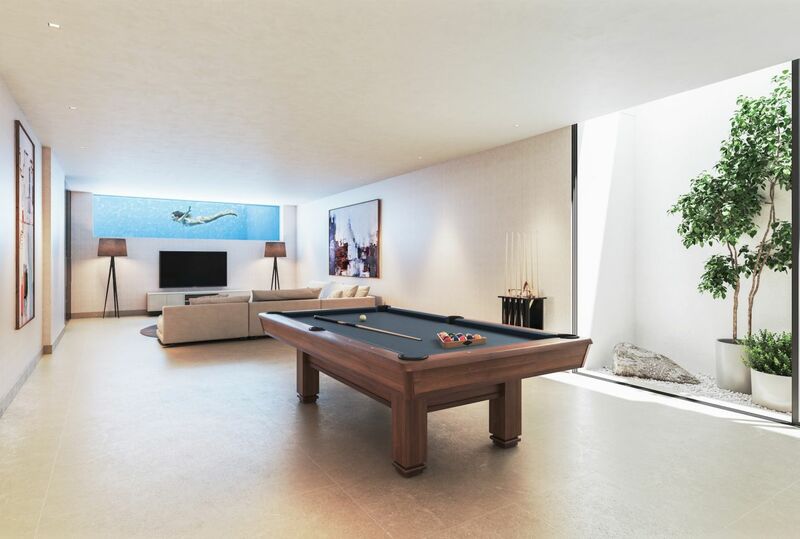 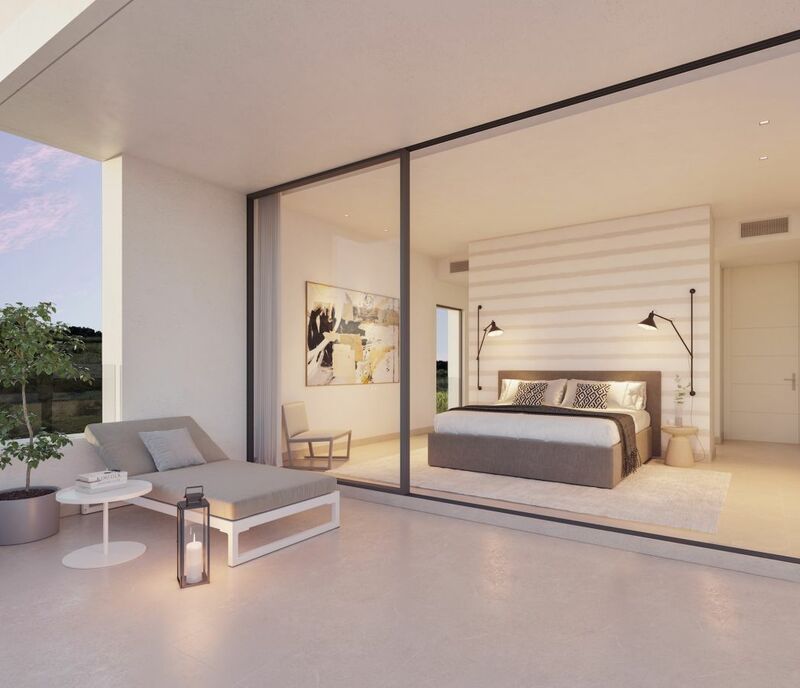 The sliding doors connects the interior living spaces with the open and covered terraces which overlook the pool and garden. 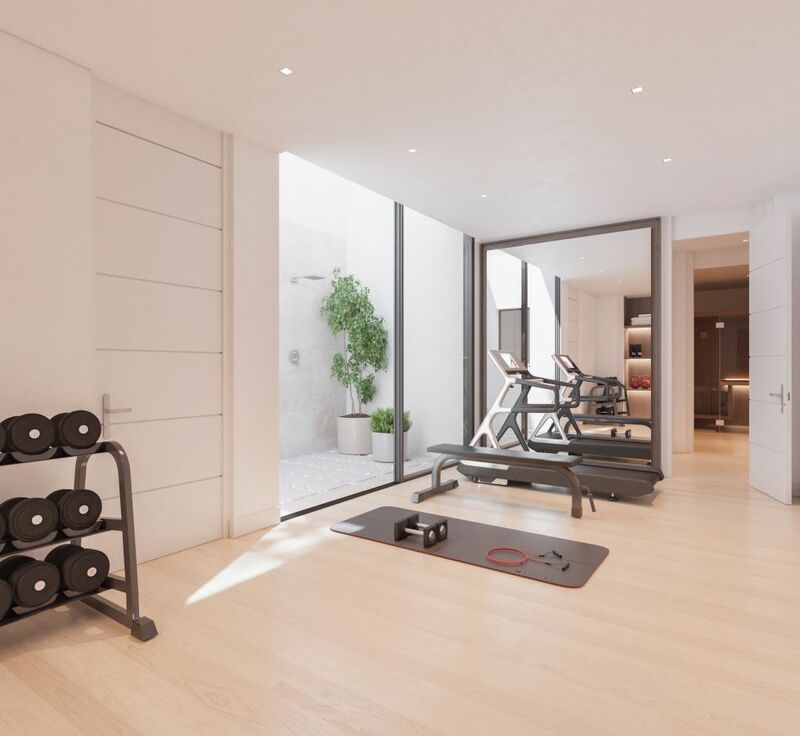 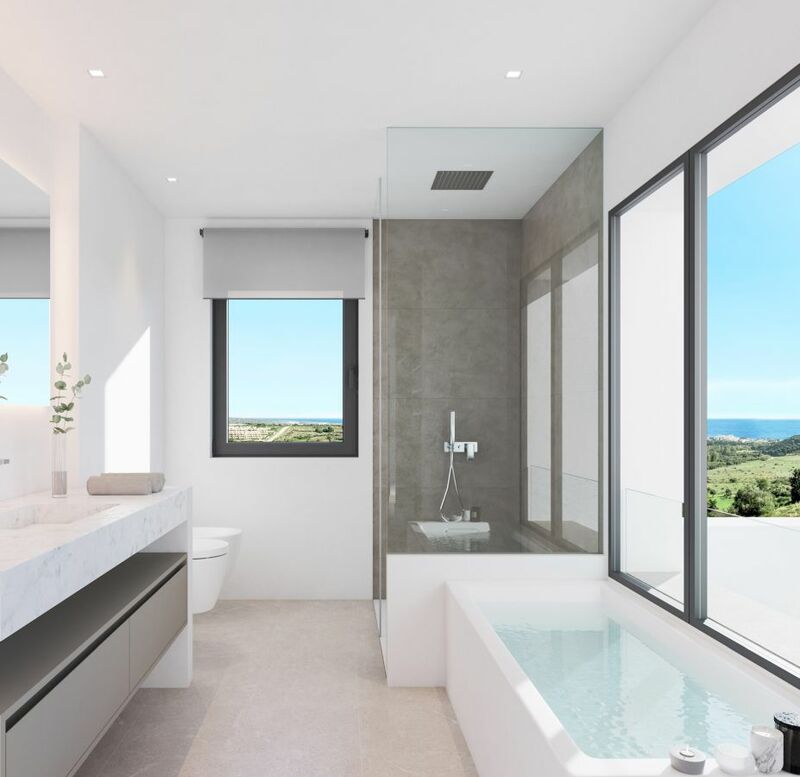 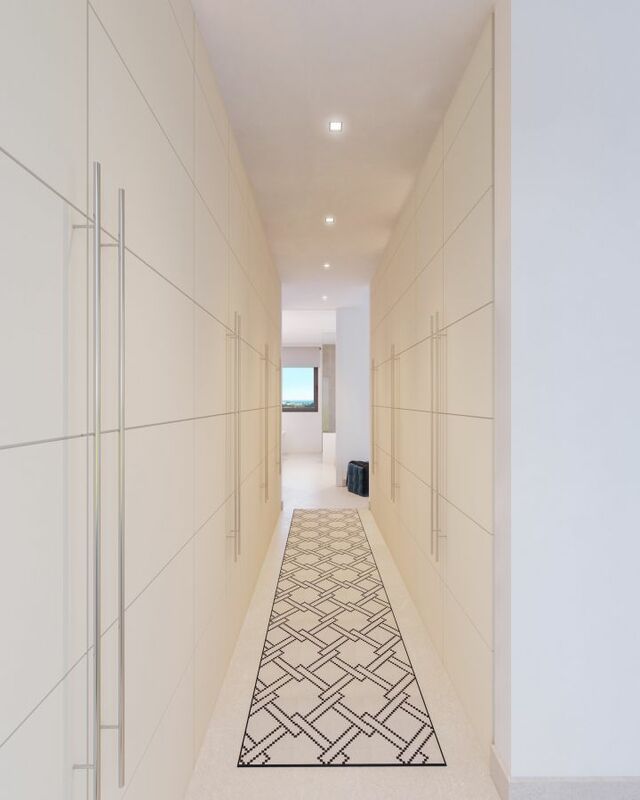 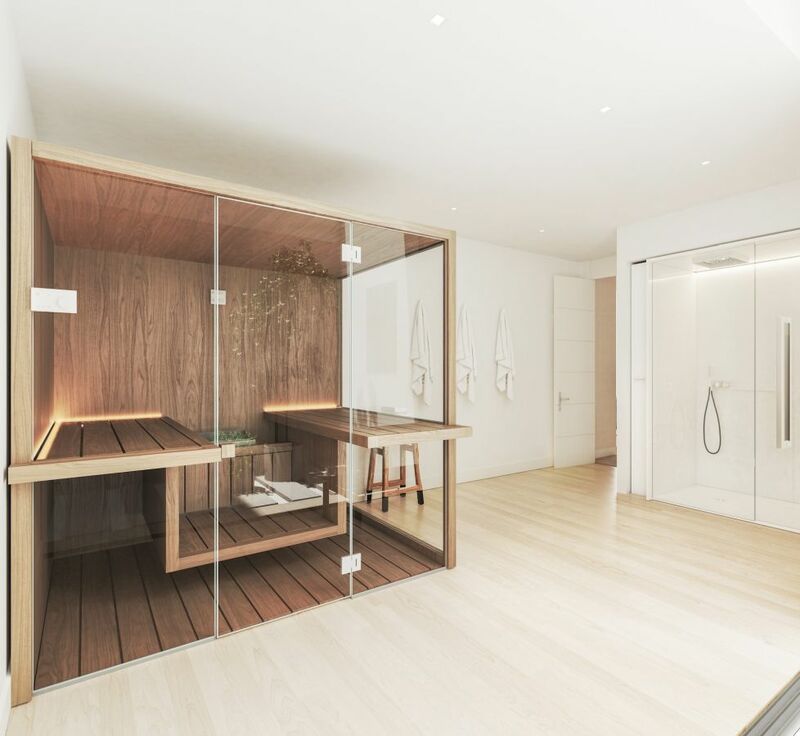 The first floors consist of a master bedroom with bathroom en-suite and a dressing room and a bedroom suite with private terrace offering amazing views, here you can opt to add a jacuzzi. 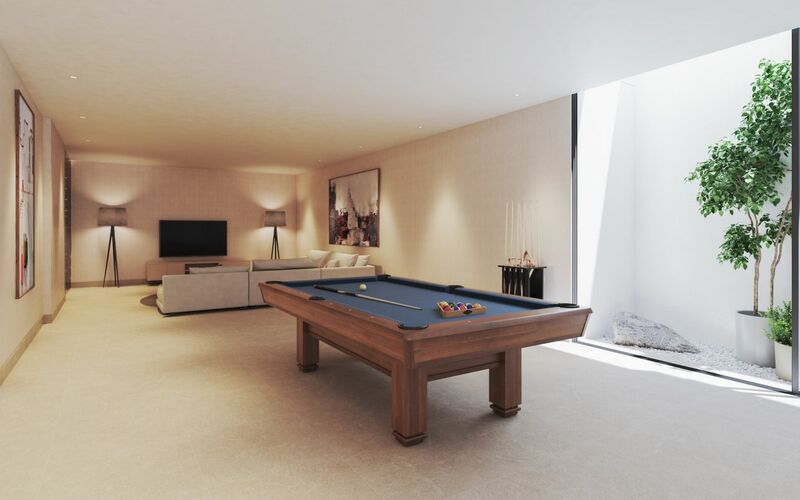 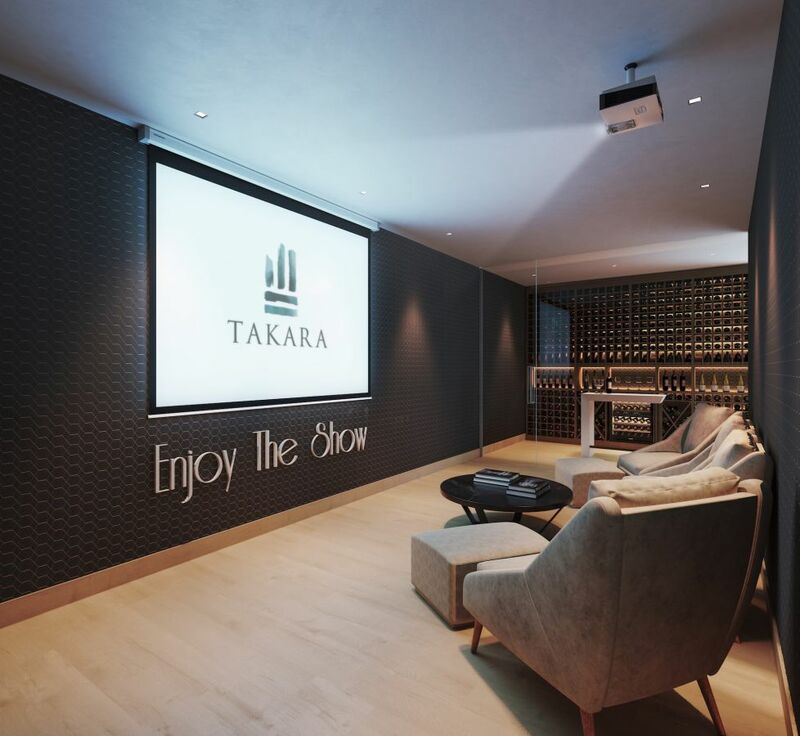 You can add a basement if want additional living space, a gym, indoor pool, wine cellar, home cinema or similar. 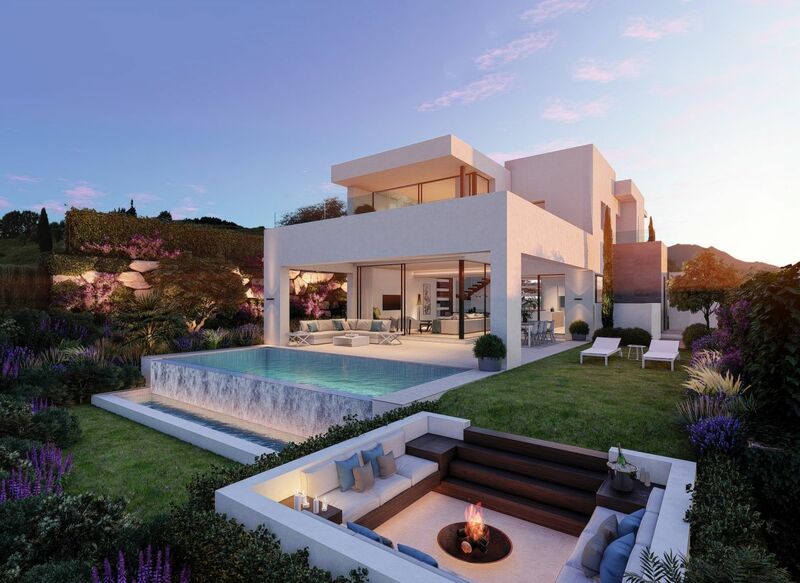 There are a variety of features you can choose to add to create your dream home. 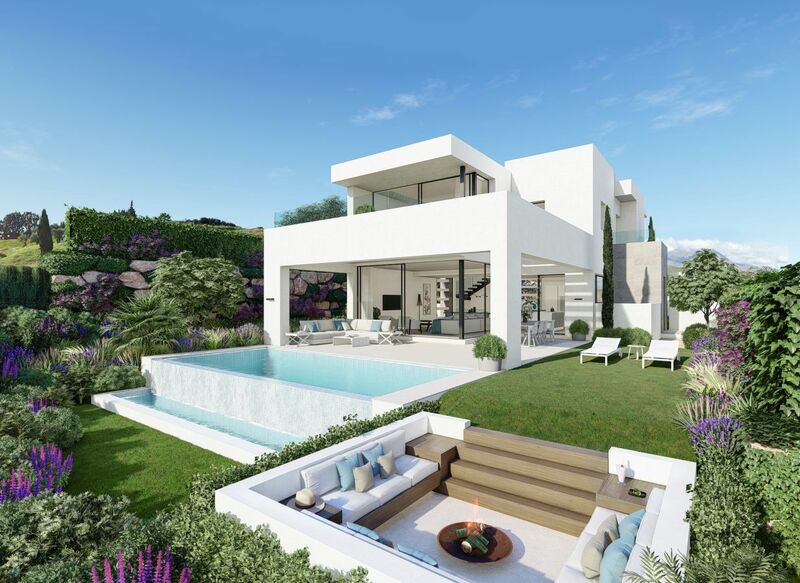 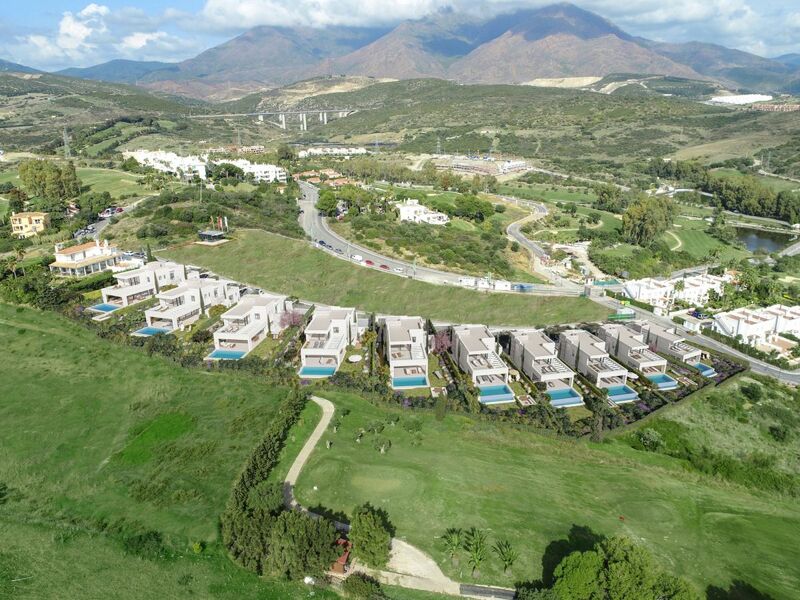 The villas all have private gardens with swimming pools, are independently gated and surrounded by amazing golf courses. 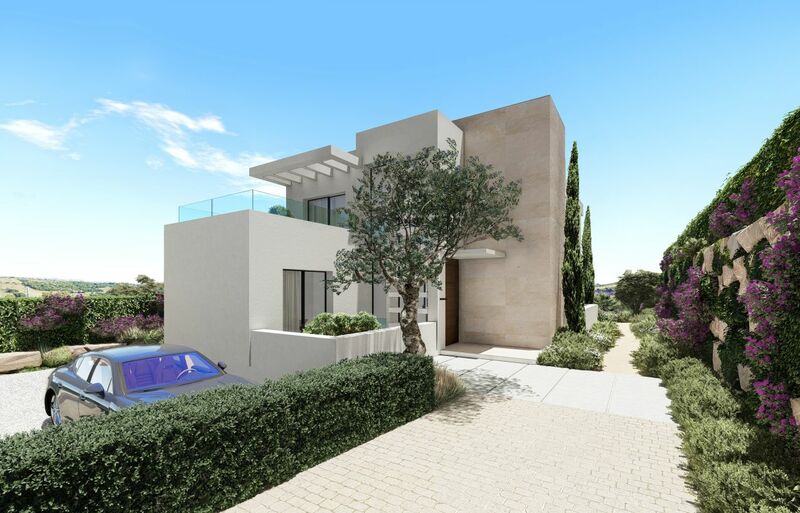 Prices from 1.100.000 EUR (+ 85.000 EUR if you opt for the basement which you can adapt to your own needs and wishes). 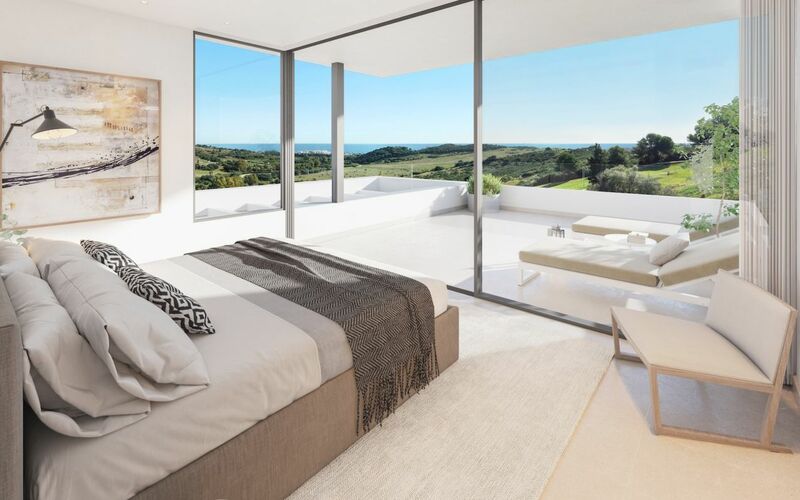 The estimated time for completion is the end of 2020.